The long awaited GOLD ORMUS bar has finally arrived! The is a straight dark chocolate bar at a 70% Ecuadorian cacao content and sweetened with maple. IT HAS AN AMAZING 1mg OF PURE GOLD ORMUS IN IT! The development of this special gold ormus has been in the works for over a dozen years by David Wolfe, Sacred Steve, and one of the top chemists in the world. This is the exact same gold ormus found in David Wolfe's 2 Fl. Oz. liquid gold ormus (containing 10mg of pure gold ormus per Fl. Oz.). 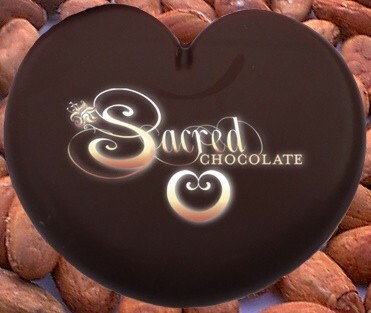 This EXTREMELY rare and limited chocolate comes as a 1.44 ounce bar poured into our famous Golden Spiral Heart shape. Rebirthed in recent years by the scientific research and efforts of David Hudson, GOLD ORMUS has been linked to ancient alchemy, the philosopher's stone, the manna mentioned in the bible, the ark of the covenant, the Egyptian pyramids, and several other "lost" esoteric scientific art forms of the east and west. In 1996 I met Steve Adler at a raw-food potluck. Our very first conversation was about David Hudson's discovery of the Ormus minerals. Steve inspired me that day to dive back into the study of Hudson's audio lectures. I am sure that my study of Hudson's discoveries have never abated since that moment. Thus began, not only a lasting meaningful friendship with Steve Adler, but also due to Hudson's discoveries, an opening began within me about the mistaken assumptions of mainstream analytical science and nutrition. 1. The Periodic Table of the Elements is incomplete. More minerals exist in Nature than we have accounted for. In fact, Hudson showed that aluminum, carbon, silicon, iron, and calcium are not always these minerals and that there our mistakes in analytic mineralogy. 2. The Ormus minerals are more important to human life and to life in general than the "trace minerals." 3. That specific Ormus minerals (such as Ormus Gold) could be concentrated and when ingested could deliver special healing, psychological, mental and spiritual effects. 4. That the human body is designed to absorb a much higher level of Ormus minerals than we normally can obtain from food — especially cooked/oxidized/processed food. 5. That Ormus Gold is likely the most important healing Ormus mineral and has a history of ancient use. 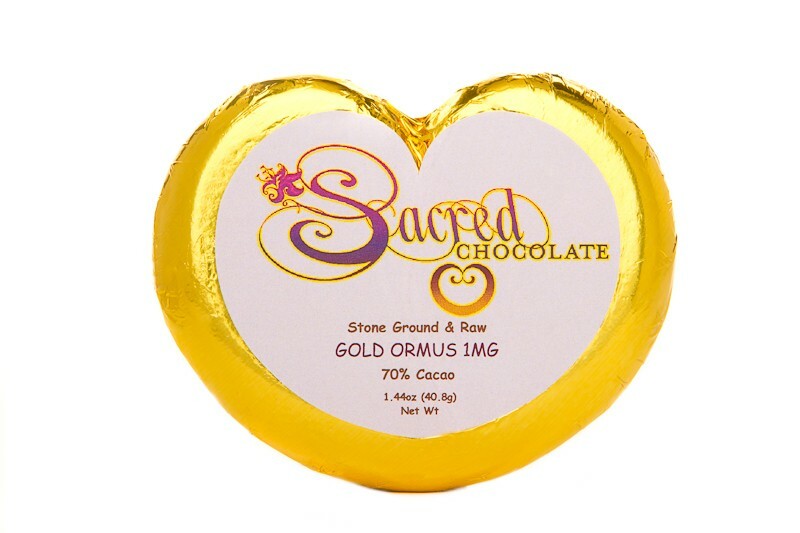 In 2006, we made a breakthrough in the production of Ormus Gold and we have been working on getting Ormus Gold into a raw chocolate bar since that time. We are proud to announce that we have succeeded in creating the world's first Ormus Gold Raw Chocolate Bar!! Since 1996 Steve and I dreamed of one day creating our own Ormus mineral products. NOTE: This bar has NOT been certified organic. However, we are using the same organic ingredients that are being used in our certified organic bars. "Unroasted Cacao Nibs, *Maple Sugar, "Raw Cacao Butter, "Unroasted Whole Cacao Beans with SKINS, GOLD ORMUS (1mg). Organic Ingredients by Weight: 99.2%. Cacao Bean and Butter Source: Shade Grown Heirloom Arriba Nacional. 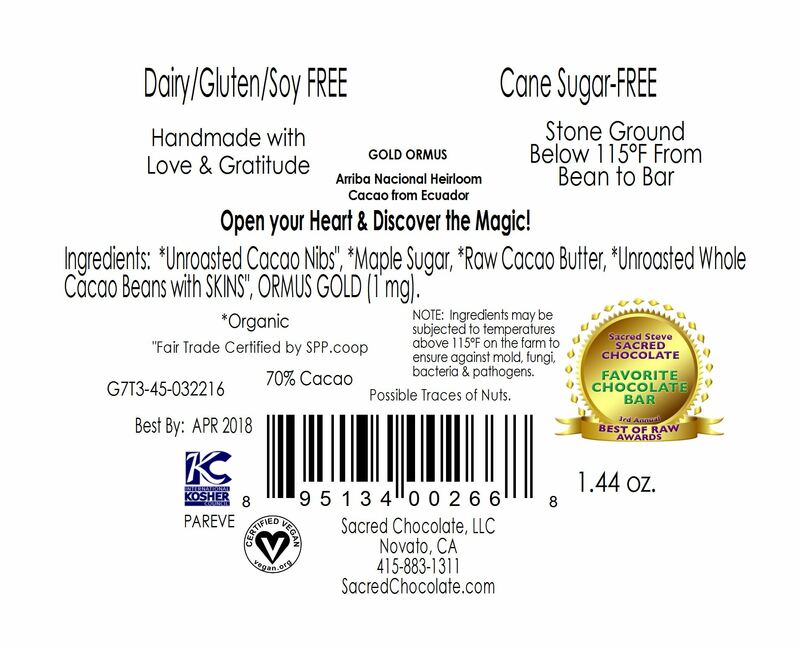 Note: This bar is not certified organic by CCOF due to the fact that is has pure ORMUS GOLD in it which is not on the USDA approved list of non-agricultural ingredients.